Are you worried about the increased cost of your in-house mortgage closing services? Are you unable to provide 24*7 team coverage and losing valuable customers? If your answer to either of these two questions is "Yes", then you must collaborate with us for a better mortgage closing support service. At Outsource2india, we have the latest workforce management and reporting tools to help you compete with your rivals and improve your market share. When you outsource mortgage closing support service to us, our expert loan processors can take the lead in gathering the support documents on mortgage loans for credit unions in an efficient, error-free, and compliant way. The document we assemble includes appraisal reports, inspection reports, title search, mortgage insurance, homeowner's insurance, contracts, LE, etc. After collaborating with the mortgage underwriters, loan officers, and third-party vendors to obtain documents, our trained mortgage closing experts thoroughly check those documents for any discrepancies. If everything is sorted out and in order, they dispatch those closing documents for further process. 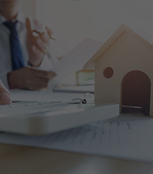 Outsource2india is an expert mortgage closing support service provider, where our loan processors leverage modern mortgage closing software to expedite the reviewing process and provide complete security of your customer data. We can also make the necessary adjustments to meet the compliance regulations and alter the documentation if we find any potential issues. We realize that the credit unions exercise rigorous diligence to assure the absolute accuracy of the mortgage closing documents and deliver it within three days of signing. 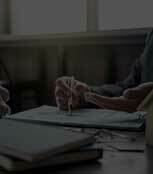 Our offsite mortgage closing support for credit unions are streamlined in a way that adheres to 100% mortgage and federal regulations, thus, avoiding any penalties. We also prepare the closing instructions statement and send those instructions to the finance team along with wiring instructions, bank notes, and E&O insurance. 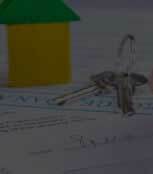 Our mortgage closing assistance also encompasses assistance and collaboration services with the settlement companies. We will work with them on your behalf for evaluating the fees and taxes. Our team of trained loan processors can also reach them for any clarity or for passing on your instructions for final disbursement of the mortgage loan. Outsource2india is complaint with ISO quality management systems, thus, ensuring complete security, privacy, and confidentiality of your customer data. We have a motivated team of mortgage closing support professionals who can help you with all your closing challenges and inquiries. With their extensive knowledge of the mortgage closing industry, they can relate with your customers emotionally and render their service likewise. At O2I, our team of mortgage closing support executives has access to the state-of-the-art infrastructure in the form of world-class office spaces, uninterrupted network equipment, and modern communication tools and technologies. We can efficiently render our services for all your mortgage closing requirements with our relevant industry experience. Outsource2india has a global footprint with five different delivery centers and four global offices. This allows us to effectively cater to your growing requirements from multiple corners of the world in various languages. Our customized mortgage closing service enables us to focus on your pain points. You can collaborate with us on the need basis. With our flexible pricing options, you get the benefit of selecting the scope and period of the mortgage closing service from us. Our extensive knowledge of the mortgage industry and over 10 years of support - service experience gives substance to our credibility and allow us to get ahead of the changing demands and render industry-wide best services. Our executives work day in and day out across all the time zones to cater to your needs and queries. They are available 24/7 and when you partner up with us, you can be certain that our contact center executive will always be accessible for your calls regardless of the time zone difference. At O2I, we have the necessary resource capability, both in terms of expertise and support. You can depend on us for any spike in your business demands to exploit the cost advantages. 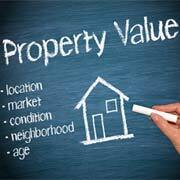 A leading client wanted our team to help them with mortgage valuation services and reduce overall costs by 50%. Our team provided the services within a quick time. O2I streamlined mortgaged services for a residential mortgage, which helped the client reduce the cost by 40-50% and close loans 30-50% times faster. As a result, there was a marked growth in customer's business. Hello, we set another record in funding for this month and we aren't even done with the month yet! You have put in a great amount of time and dedication to help us reach this accomplishment together. Outsource2india has been a pioneering mortgage closing support for credit unions in India. We provide high-value mortgage closing support for credit unions and a series of other mortgage closing support solutions to its global clientele. At O2I, we have an extended suite of mortgage closing support professionals who can provide you with a high-level of scalability & flexibility, which can be customized based on your service needs. 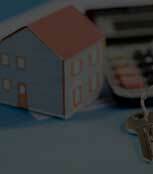 We have in-depth knowledge and understanding of the US and UK mortgage and federal laws. We have rendered our services to the exact requirements of credit unions. We continuously grow and streamline our mortgage outsourcing process to deliver immeasurable value to our clients. Get in touch with us today for reliable, efficient, and cost-effective mortgage closing support for credit unions.